At Senergy Mechanical, we are the ultimate experts in water and steam gas boiler installation for the residential, commercial and industrial customer. Throughout the course of last 20 years, we’ve successfully serviced numerous clients across Southern Ontario, and proudly continue our service excellence today. Use less fuel to heat your home or business, with boilers offering up to 96.1% AFUE heat efficiency, provided by cast-iron and cast-aluminum heat exchanger models. Flexible and space saving installation with internal or external wall-mounted or floor models available. Seamless installation with existing radiator systems, for fast and precise heating. Only Energy Star Qualified product installation, meaning greater energy saving & efficiency. When it comes to heating the water in your home, nothing can be more important than knowing you are equipped with a quality boiler that will be energy -efficient, durable, reliable and maintenance free. At Senergy Mechanical, we not only ensure that you pick the correct boiler for the size and demands of your home, but also that the installation is smooth, non-invasive and most importantly abiding by all the local gas-pipe size and licensing rules and codes. Our professional staff will walk you through the choices available to you step by step making certain you are comfortable with your decision and insure that the installation is performed at a time that is convenient and comfortable for you! 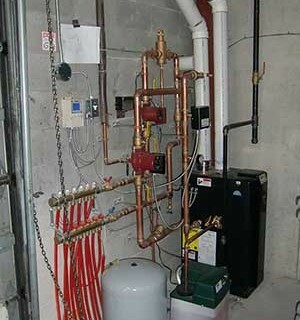 With unparalleled coverage, offering installation across the GTA including Toronto, Mississauga, Brampton, Oshawa, Oakville and more by some of the most highly-skilled, licensed and experienced technician, we work with the most trusted water and steam boiler brands in the market, including Rinnai, Lennox and Buderus! Specializing in small, medium and large scale industrial and commercial installations, no project is too large for our experienced and trained personnel. Having performed high quality installations of atmospheric, forced air and high-efficiency models weâ€™ve worked with major brands like Miura & Burnham. Through our relentless focus on top-notch service quality, and expert knowledge weâ€™ve helped hundreds of businesses meet their heating needs, maintaining the highest level of energy efficiency and comfort. Condensing Boilers (E Series/Q Series/Q premium Series)-heating tank and water boiler in one, with maximum BTU heating inputs ranging from 75,000 to 205,000. Tank less Gas boilers-Saves space with flexible, wall mounted or floor standing models and uses heat only when required to heat water in record time, saving you up to 40% on energy bills. 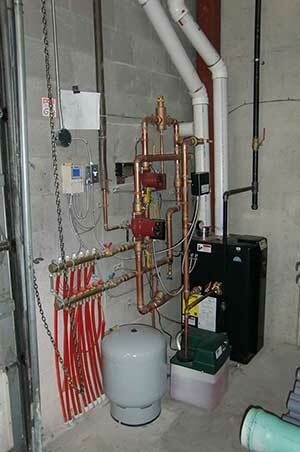 High-efficiency gas-modulating condensing water boilers (GWM-IE). High and Standard efficiency gas-fired water boilers (GWB9-IH/GWB8-IE/GWB8-E). Standard Efficiency gar-fired steam boilers (GSB8-E). Multiple water tube, Gas/Oil hot-water boiler with multiple water tubes and low water usage(EXW Series). High Pressure Steam Boilers with world class efficiency, fast start-up, and versatility (EX Series). Atmospheric Boilers – featuring compact, easy to transport design, making them ideal for residential, institutional and commercial clients (8HE Series/ 5B Series). Forced Draft Boilers â€“ Excellent for commercial gas boiler installation requirements due to its reliability and versatility (V9A series).